A spooky take on any classic fairy tale. 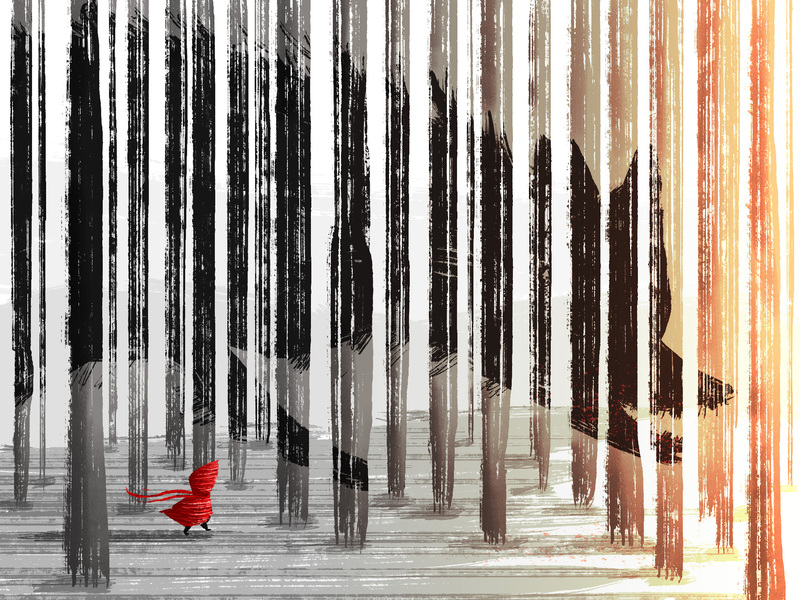 I wanted to show the looming, oppressive feeling of the wolf, without showing the wolf itself, so I depicted its extremely large shadow on the trees. I wanted little red to be the only real colourful element. I deliberately created the trees like 'prison bars', to show little red trapped in the forest, and then had some warm light coming in from the edge for a little bit of hope.